The Best Plumber in Havant! 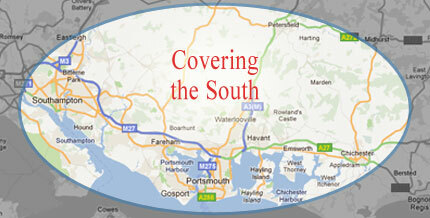 If you are looking for a plumber in Havant you have come to the right place. Years of experience means that you can be sure that John Razzell Ltd has the skills to take on any of your plumbing jobs with ease. We undertake all types of plumbing repair work including, shower replacements, leaks, boiler breakdowns and burst pipes. We are always open and honest – we provide a FREE quotation before starting any work for you and are always happy to give you any advice. As well as our plumbing services in Havant and surrounding areas, we are now also able to offer Renewable energy services. We can help with installation of renewable energy services such as solar thermal systems and air to air heat pump systems. Find out more on our services page. John Razzell Ltd is a Gas Safe registered heating engineer who specialises in all aspects of gas and heating problems including boiler breakdown and radiator repairs as well as fault finding and boiler servicing. If you're looking for a plumber in Havant, a plumber in Petersfield, or any of the surrounding areas including Portsmouth, Chichester, Fareham and Eastleigh? 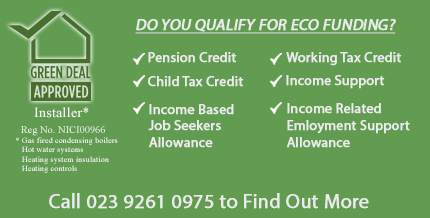 Please Contact Us to book your FREE Quotation or call Us Now on 07962 342 450 for energy efficiency advice. You can make energy-saving improvements to your home or business without having to pay all the costs in advance. For impartial advice visit www.energysavingtrust.org.uk or Freephone 0800 592 012. Request an email with further information, below.